13 minutes long vidoe full with crazy accidents from Russia. No wonder why everyone there use camera while driving. VIDEO: How did he survive that? Car crashed in truck, got totally smashed and driver survived. Lucky guy. A motorcycle carrying five people was hit by a car after "stick" the red light at an intersection. The impact sent the five literally flying. The accident occurred in Sanmen County, Zhejiang province, east of the country on Sunday (27 MAy 2012). The victims had injuries in various degrees, but no danger of dying. No occupant of the car was injured. 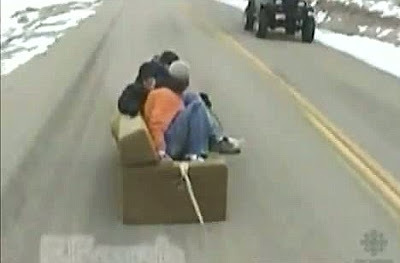 The scene was recorded by a security camera that shows the car driver was speeding and passed the yellow sign. Have the bike crossed the red. Traffic police arrived on the scene and rescued the wounded to a local hospital. 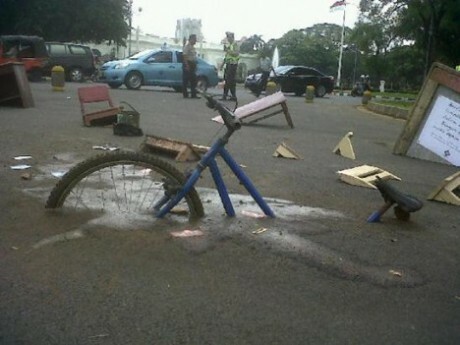 The man driving the bike will be punished with a fine for having "stuck" the red light, police said. Keeping bikers and other road users safe on the roads is a cause most people actively support. Promoting awareness of motorcycle safety and bringing attention on how this can be enhanced collectively play an active role in motorcycle safety communications. Bennetts have just published an infographic supporting this very cause. Championing the awareness and inroads made into improving motorcycle safety, the ‘Evolution of Motorcycle Safety’ infographic encapsulates the historic charting of pinnacle moments in the development of motorcycle safety as well as how this has affected the safety of road users. This comes at a topical time where campaigners are currently trying to improve motorcycle safety by collecting 100,000 signatures via an e-petition which asks for one compulsory bike related question to be included in all UK driving theory tests. We hope this will also become a milestone in the history of motorbike safety as we continue to reduce the number of road traffic accidents. MOSCOW (AP) — An explosion apparently caused by natural gas has heavily damaged a nine-story apartment building in southern Russia, leaving two people dead and 12 injured. Rescue workers were searching through the rubble, and officials said at least 11 residents of the building are unaccounted for. The explosion occurred Monday in Astrakhan, a city 800 miles (1,300 kilometers) southeast of Moscow. 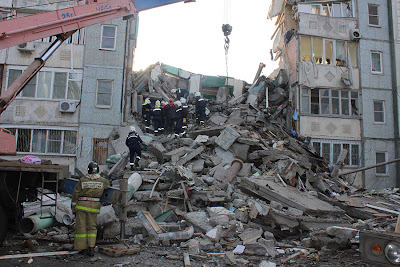 A spokesman for the regional emergencies ministry, Oleg Grekov, told the ITAR-Tass news agency two bodies were pulled from the rubble late Monday. Regional Investigative Committee spokeswoman Anna Konyaeva said the blast first blew out a lower section of the building. As people rushed to help, the upper six stories collapsed. Explosions of gas canisters in Russian homes and businesses are common. The Goiânia accident was a radioactive contamination accident that occurred on 13 September, 1987, at Goiânia, Brazil. Considered one of the worst nuclear disasters in history, it took place after an old nuclear medicine source was scavenged from an abandoned hospital site in the city, which serves as capital of the central Brazilian state of Goiás. It was subsequently handled by many people, resulting in four deaths and the serious radioactive contamination of 249 other people. The dispersal of radiation was equivalent to a medium-size dirty bomb. About 130,000 people overwhelmed hospitals. Of those, 250 people, some with radioactive residue still on their skin, were found to be contaminated through the use of Geiger counters. Topsoil had to be removed from several sites, and several houses were demolished. All the objects from within those houses were removed and examined. Those that were found to be free of radioactivity were wrapped in plastic bags, while those that were contaminated were either decontaminated or disposed of as waste. 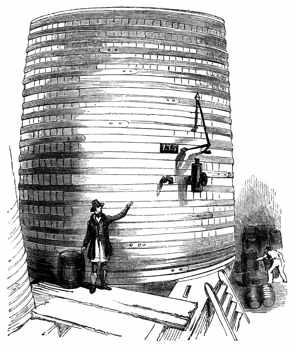 On October 16, 1814, a vat of beer at London’s Meux and Company Brewery cracked open. Beer gushed out, causing yet another vat to open. The result was 550,000 gallons (or 4.4 million pints) of beer pouring through the streets of London. The wave of beer destroyed two homes and crumbled the wall of the Tavistock Arms Pub, trapping teenaged employee Eleanor Cooper under the rubble. The brewery was located among the poor houses and tenements of the St Giles Rookery, where whole families lived in basement rooms that quickly filled with beer. Eight people drowned in the flood. The disaster was ruled to be an act of God. On January 28, 1393, King Charles VI of France hosted a ball to celebrate the marriage of Queen Isabeau’s maid of honor. Charles had the brilliant idea to have himself and five of his friends disguise themselves as savages. 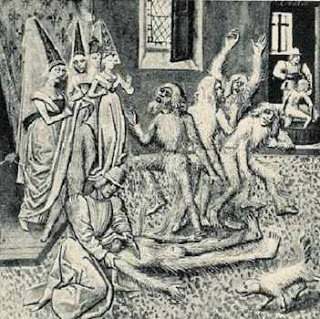 The idea took a strange turn when the men decided to cover themselves with pitch and feathers. Remember, pitch is very flammable and the primary sources of light indoors at the time were torches. The men entered the ball disguised this way and chained together. A horrible accident occurred when a man approached them with a torch so that he could get a better look. The men went up in flames immediately. The king was saved by Jeanne de Boulogne, who threw her petticoats over him to put out the blaze. One other of the men was able to throw himself into a vat of water. The other victims of this strange accident were not so lucky. Two burned alive that night at the ball. The other two died within days from their injuries. 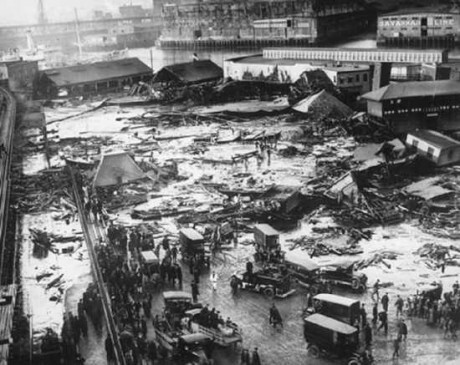 On January 15, 1919, a tank of molasses exploded in Boston’s North End. The explosion caused a huge shockwave that was sufficient to knock houses off their foundations. Shards of metal from the tank were found up to 200 ft. away. Right after the explosion this accident took a very strange turn. The tank was filled with 2.3 million gallons of molasses. When the tank exploded, the molasses formed a 25-30 ft. wave, that went through the streets of Boston at speeds of around 35 mph. People caught in the wave were either smashed against large objects, or they drowned in the molasses. This strange accident caused 21 deaths and 150 injuries. Rumor has it that, on a hot day in the North End, the air still smells sweet. In May, 2006, while drilling for gas in East Java, Indonesia, company PT Lapindo Brantas caused a mud volcano to erupt. By September, 2006, the hot mudflow had inundated rice paddies and villages, resulting in the displacement of more than 11,000 people from eight villages. Twenty-five factories had to be abandoned, and fish and shrimp ponds were destroyed. Transportation and power transmission infrastructure has been damaged extensively in the area. The mud flow is still ongoing at a rate of 100,000 m3 per day, at time of writing. A study has found that the mud volcano is collapsing under its own weight, possibly beginning caldera formation. It is expected that the flow will continue for at least another 30 years.